As guests arrive at your wedding reception in the afternoon you’ll want a warm, relaxed and welcoming atmosphere. We can provide just this with any of the pre-dinner musical services listed below! 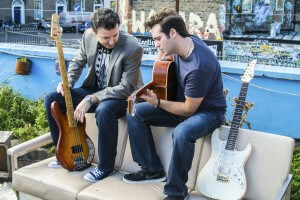 An energetic performance of contemporary and classic chart hits on ukuleles. The Kooky Ukes are the liveliest bunch on the wedding scene, delighting in taking upbeat tracks and reinventing them with a new flavour. They even made the news recently! Three of them were captured entertaining Ryanair folk with ukuleles on a flight from Barca to Dublin on the way back from a wedding in sunny Spain.The video soon went viral with over 200,000 views, this feature on Ireland AM and tons of happy faces on a dismal Tuesday morning. Read more about it on The Irish Mirror and Joe.ie. Perfect for couples looking for those old favourites, but with a “kooky” cool twist! If you’re looking for something a little bit softer, smoother and relaxed to take you effortlessly from ceremony to reception, Sway Social have got you covered. Resident string pickers Gavin and Ed offer up the option of an acoustic guitar set to be played during your afternoon reception. A soft and elegant sound composed of two guitars, this option provides pleasing background music and helps to create a mellow tone as your guests begin to mingle, which means no awkward silences or dead-sounding, noiseless rooms! Download the Sway Social ACOUSTIC DUO Setlist! The guys will play a two hour fully unplugged set featuring a range of old favourites, completely transformed by the unique acoustic sound. This is the perfect option to easily inject some atmosphere into the room as your day transitions from ceremony to evening festivities! A professional instrumental duo comprising piano and double bass will deliver mellow, sophisticated background music to set the scene for a magical evening to come. A third member can be added if desired, playing either the saxophone or the drums. You can view a sample song list here. A sleek solo pianist, experienced in all musical styles, is another alternative. 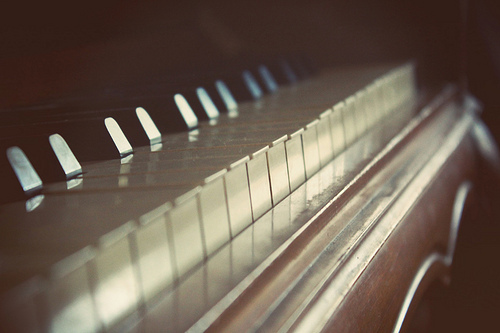 Your wedding venue may have a piano on site, if not; we will bring an electric piano with equivalent sound quality. As an alternative, you can choose an assembly of instrumentalists to provide effortless background music for your pre-dinner reception. Your guests will be welcomed into your elegant affair with a tranquil and beautiful sound. Depending on your tastes and budget, we can offer a variety of combinations of musicians for your reception music. The quartet have performed everywhere from aircraft hangers, stately gardens, tiny medieval churches, elegant drawing rooms to castles, with a repertoire covering O’Carolan to Coldplay and everything in between. This creates a magical atmosphere at every event. Click here for a listen!